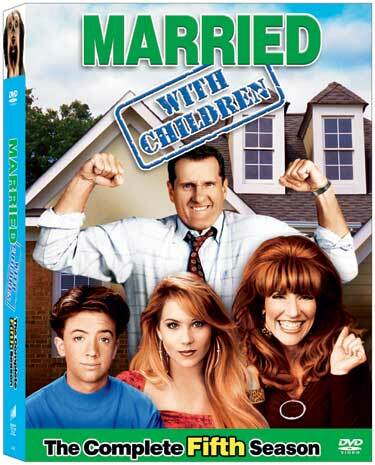 From 1-10 stars, how would you rate the fifth season of Married... With Children? Also, if you'd like you could also give us a small review of the season. 7/10 for me. While there are some standouts (extra star for the intro of Jefferson!) like "You Better Shop Around," "The Dance Show," "Married With Aliens" & "Wabbit Season" etc. This season is not as good as 2-4 for me. This is # 1 for me because it has the great two-parters, You Better Shop Around and Route 666, the former being my all time favorite episode. I give it a very slight edge over season 4 which is stuffed with classics. I think part of the appeal is that we see them outside their normal environment. Plus, guys like Westerns. It's kinda silly though, even for MWC. I like part 2, but part 1 drags.